Aukua Systems will be demonstrating Automotive Ethernet testing solutions in the Exhibition of the Automotive Ethernet Congress event in Munich this 13-14 February 2019 alongside our partner FSTC. Please visit our exhibit to learn more about our Automotive Ethernet test and visibility solutions. Aukua to exhibit at upcoming ITS World Congress 2018! Aukua Systems will participate at the ITS World Congress event in Copenhagen this 17-21 September 2018 alongside our partner FSTC. Please visit our exhibit at stand E-013 to learn more about our Automotive Ethernet test and visibility solutions. Aukua expands into China with Paralink as new Partner! Aukua Systems announces that it is expanding its international presence by partnering with Paralink Networks Shanghai, Inc. ("Paralink") in China. Paralink is a privately held corporation founded in 1992. With Paralink's nationwide presence in China, customers there will be able to access cutting edge test and monitoring solutions from Aukua Systems. Interested customers can contact Paralink at sales@paralink.com.cn. More information can also be found here. Aukua's new Latency Monitoring Analyzer directly but passively measures latency experienced by live application traffic. The Latency Monitoring Analyzer measures one-way latency directly on each and every network application packet of interest with 1.0ns precision. The system operates out-of-band, without requiring artificial or foreign traffic, allowing you to stay compliant with government regulations or business operation requirements. Click here to read about an example use-case of the Aukua Latency Monitoring Analyzer. Aukua MGA2510 now supports Energy Efficient Ethernet! Aukua's MGA2510 is the first and only traffic generator to support Energy Efficient Ethernet (EEE) or IEEE802.3az operation. It is now possible to validate EEE operations, characterize latency and throughput performance and inject impairments for negative and functional testing all directly over a EEE enabled link. This new feature is supported for 1000BASE-T, 2.5GBASE-T, 5GBASE-T and 10GBASE-T.
Aukua participated in Productronica 2017 along with FS Trading & Consulting, its partner in Europe. 1,200 exhibitors from 42 countries presented innovations from the fields of electronics production and development. Aukua's innovative MGA2510, a 3-in-1 Ethernet protocol analyzer, traffic generator and network impairment emulator was demonstrated. Aukua expands to India with Electro Systems Associates (ESA) as new Partner! Electro Systems Associates (ESA), a leading provider of protocol solutions and embedded development tools in India, entered into a partnership with Aukua Systems, Inc. ESA will be Aukua's channel partner in India focusing on customers requiring cutting edge, high precision yet easy to use Ethernet testing & monitoring solutions. Interested customers in India can contact the ESA team at aukuasales@esaindia.com for sales and technical queries. Or click here for more information. Aukua announced the launch of the industry's first Network Impairment Emulator to support the new IEEE 802.3bz 2.5GBASE-T, 5GBASE-T, as well as 10GBASE-T Ethernet speeds. With a simple software license upgrade, the Aukua MGA2510 can now be used as a Network Delay and Impairment Emulator. Aukua MGA2510 Network Impairment Emulators, or "WAN Emulator", are used to predict and verify end-user experience and application performance under real-world network scenarios. Please contact Aukua Sales to request more information or to schedule a demonstration. Aukua is pleased to join the OPEN Alliance as an Adopter member. The OPEN Alliance (One-Pair Ether-Net) Special Interest Group (SIG) is a non-profit, open industry alliance of mainly automotive industry and technology providers collaborating to encourage wide scale adoption of Ethernet-based networks as the standard in automotive networking applications. Aukua Systems attended Interop as a member company within the NBASE-T Alliance. We showcased our MGA2510 as part of a multi-vendor interoperability demonstration of 2.5GBASE-T and 5GBASE-T capable products and solutions. The NBASE-T Alliance was an event Gold Sponsor and Badge Sponsor. Aukua is excited to announce the launch of the PCAP Player on its MGA2510 Traffic Generator. With this launch, Aukua's customers will now be able to upload very large multi-gigabyte capture trace files to the Aukua MGA2510 to be used as a source of traffic. This allows for realistic reproduction of network traffic in the controlled conditions of an R&D Lab thereby enabling faster troubleshooting and performance validation testing. FSTC, a leading provider of a wide range of test solutions in the area of telecommunications, entered into a partnership with Aukua Systems, Inc. FSTC will be Aukua's channel partner in EMEA focusing on DACH region. Together, we provide our customers with cutting edge, high precision yet easy to use Ethernet testing & monitoring solutions. Interested customers in EMEA can learn more here. Aukua is pleased to announce the launch of the MGA2510, a very powerful Ethernet Test, Measurement & Monitoring platform. The MGA2510 is uniquely capable of being used as both an Inline Capture Analyzer or a classic Traffic Generator/Analyzer test system. 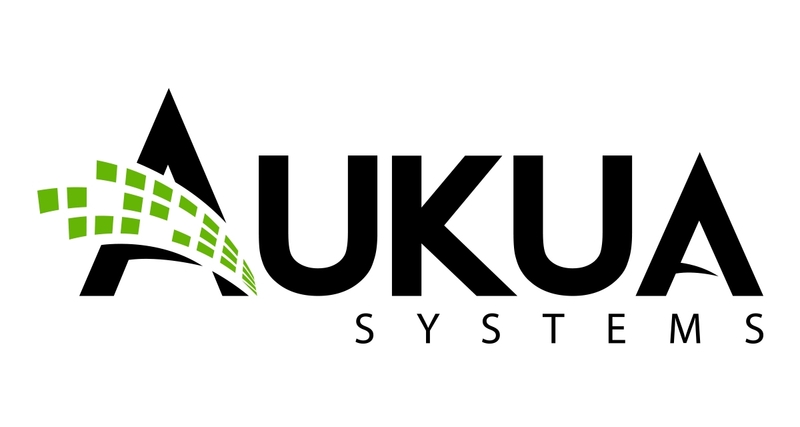 Please contact Aukua Sales to request a Datasheet or to schedule a web demo session. You may also contact your local Aukua partner for further details.